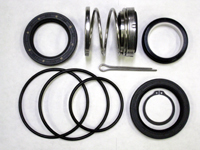 American Turbine-SD 309 Jet Drive: SLK4008 - SL4008, SL1101, SL1201, 03301 (2), 03401, SH1507, F0316CP, Seal & O-Ring Kit. from California Marine. Description SL4008, SL1101, SL1201, 03301 (2), 03401, SH1507, F0316CP, Seal & O-Ring Kit.